Which? 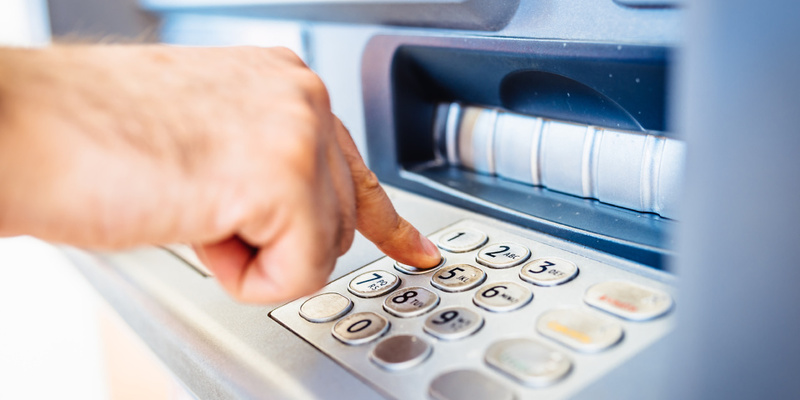 research has identified more than 200 communities in Britain with poor ATM provision, or no cash machines at all, which might be hardest hit by proposals that could reduce the network. Which? is worried that proposals from Link – the UK’s largest cash machine network – to lower its fees by 20% could lead to mass closures of free-to-use ATM machines across Britain, hitting already suffering communities even harder. The fee in question – currently set at around 25p – is paid by banks per withdrawal to maintain the free-to-use ATM network. Which? is concerned that Link’s proposals are driven by pressure from some banks to cut costs, rather than focusing on the needs of consumers. We’re calling for the Payment Systems Regulator to conduct an urgent market review to fully evaluate the impact the funding changes could have. It’s never been easier to take out a tenner. The Link cashpoint network has almost tripled in size since 1998, and now comprises 70,000 machines across the UK. Just one in five of these charges you for withdrawals – most are kept free thanks to fees paid by banks. But changes to these payments have sparked fears that some communities will be left without a free cashpoint. Almost every cash machine in the UK is connected to the Link network, which allows banks and building societies to offer their customers access to cash anywhere in the country. When you withdraw money from a free-to-use ATM that isn’t provided by your bank, your bank pays the cash machine operator an interchange fee – currently around 25p per withdrawal. This creates a financial incentive for operators to set up free cashpoints. Proposals from Link would see interchange fees cut by 20% to around 20p over the next four years. That may not sound like a lot, but it would make running free cashpoints far less profitable. The ATM Industry Association has suggested that at least 10,000 free-to-use cashpoints could be at risk. Link disagrees with this forecast, saying it’s committed to maintaining free access to cash across the country, and that it simply wants to prevent an ever-expanding network of ATMs as the use of cash declines. However, some closures would be inevitable. A spokesperson from Cardtronics, the biggest ATM operator in the UK, told Which? that if the funding cuts go ahead, it will have ‘no choice’ but to pull out a significant number of free ATMs straight away, and that many more ATMs will follow if the full 20% cut goes ahead. To mitigate the impact on more remote or deprived areas, Link will incentivise operators to keep free machines by setting a higher interchange fee in those places. It has also said that it will protect free-to-use ATMs that are a kilometre or more from the next nearest free cash machine. It’s hard to predict the extent to which access to free cash will be affected by the proposed changes, but we’ve analysed data on 70,000 cashpoints to identify the parts of the UK that are already poorly served and could be worst hit by closures. According to the data from Link, only around 0.2% of the population live in a postcode district with no cashpoint at all – a total of 123 postcode districts with a combined population of 110,935. A further 116 postcode districts appear to have just one ATM, 37 of which charge a fee. Which? also used LINK data to identify local authorities with higher proportions of fee-charging ATMs and found over half of all machines in Cherwell (57%) already charged a fee. This is followed by the Shetland Islands (56%), North Warwickshire (52%), Purbeck (47%) and Great Yarmouth (43%). Which? is concerned that the latest proposals could result in consumers struggling to access free withdrawals with mainly fee-charging machines remaining. Which? surveyed over 1,2000 members to gauge the possible impact of a reduction in free-to-use ATMs. We found a heavy consumer dependency on ATM usage, with just under half (44%) using a cashpoint at least once a week. Another 80% of members said that access to free cashpoints was important to their everyday lives. Overall, one in five (20%) of Which? Members do not have convenient access to a free-to-use machine – and a further reduction will severely limit people’s ability to access their money. Which? wants the needs of consumers to be put first, rather than pressure from some banks to cut costs, and discourage use of cash, leading to a situation where accessing cash becomes a problem. Which? also wants the Payment Systems Regulator to conduct an urgent review to fully evaluate the impact that these changes could have on consumers, millions of whom rely on the free-to-use network to access cash, including looking at alternative options for protecting consumers. Would you pay to withdraw your money from a cashpoint?